Do You Need an Antenna for Every TV in Your House? Free over-the-air TV is one of the best cord cutting solutions around. By finding the best antenna for your needs, you can access live major-network broadcasts and watch local TV, local news, local and national sports broadcasts, and much more. But plugging your antenna into a TV only solves your problems in one room. What if you have multiple TVs? 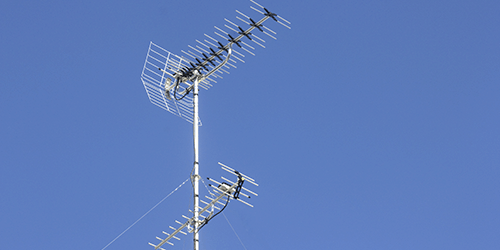 Do you really need a separate antenna for every TV in your house? No, you don't. And while having separate antennas is a perfectly acceptable (and appealingly simple) solution, there are alternatives that allow you to use one antenna for your entire home. Here are a few ways to do it. There's no perfectly efficient way to use one antenna for every TV in your home, but there are a few pretty good solutions available. If you're using a large rooftop antenna, these fixes are a must. If you're in an area where a small indoor antenna is enough to get you decent reception, you may find that consolidating down to one antenna is more trouble than its worth – though, with the third of these options, you'll gain some perks for your trouble and expense. Ultimately, this is about your preference and your personal antenna situation, so read on and choose the option that works best for you. Let's start with the most obvious (if not the most elegant) solution: you can just run a lot of coaxial cables around your house. Or, you know, something like that. Some of them split the signal three ways, or four, or… you get the idea. Anyway, off you go, unwinding the coaxial cable and splitting the signal at forks in the road. One more thing, though: splitting a signal reduces its power, so you'll want to use an amplifier or two with this setup. 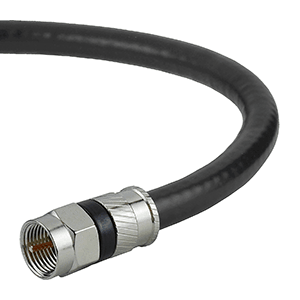 Amplifiers, splitters, and coaxial cables of all lengths are all very easy to come by, fortunately. This is your cheapest solution, though it's not always the prettiest. With that said, though, it's not too hard to get your cables organized. Plan out your cable path ahead of time and put your splitters in the places where they'll do the most good in minimizing your total cable volume (for instance, if your antenna is at one end of the hall and two TVs are in different rooms at the other end, just run one cable down the hall and split it at the last second, rather than running two cables all the way down the hall from the start). And buy plenty of cable clips – those little plastic things you tack onto the walls that hold coaxial cables. With enough of those in place to keep the cable running along your white baseboard or carefully behind your furniture, your big cable installation doesn't have to look like a big mess. 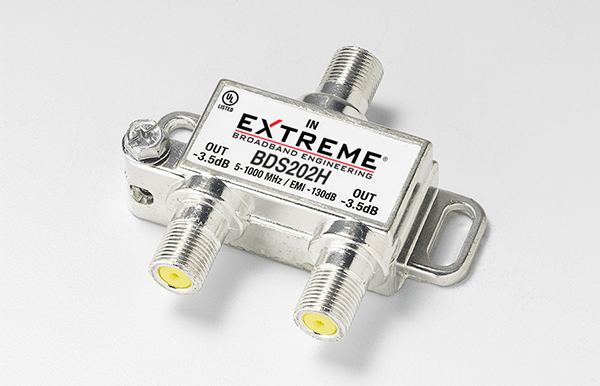 The good news is that you can run an antenna signal through these just as easily as you can run a cable TV signal. The bad news is that you can't use these cables for two things at once. You probably don't have cable TV if you're on this website and trying to rig up antennas, but you likely have broadband internet, which uses these same cables. If you don't, though, you have a very easy way to rig up one antenna for all of your TVs. Just connect your antenna to the place where your cable company would enter the system. There's a good chance that this place is a cable box outside, and that your cable company is currently plugged in there (even if you're not paying for – or getting – service). Once you've tracked this down, plug your one antenna in there and rig up your TVs to their nearest coaxial outlets (just as you would with a traditional pay TV setup). Bingo: one antenna for every TV in your house. An OTA DVR isn't your cheapest method for using one antenna for your entire house, but it is arguably the best method. Hey, you get what you pay for! Here's how it works. As the name suggests, an OTA DVR records live TV from an antenna. It can only do this, naturally, when an antenna is plugged into it. From there, though, OTA DVRs have to offer you a way to watch what you record. Most of them use Wi-Fi internet and apps for various devices to do this. 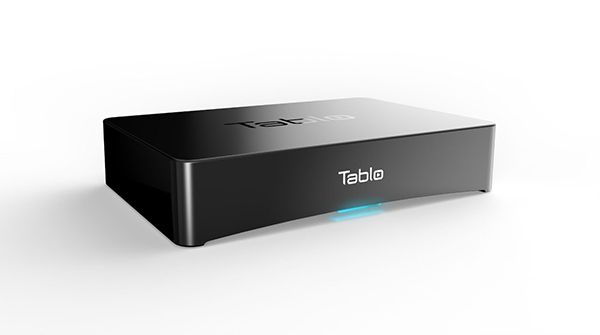 From there, it wasn't too hard to offer you the ability to stream the OTA TV live – which is exactly what OTA DVRs like the Tablo now do. As you've probably noticed, this approach has its drawbacks. You no longer have to buy an antenna for every TV, but now you have to buy a streaming box for every TV to run your OTA DVR's app (unless you have smart TVs that can run it, of course). And, of course, you have to buy the OTA DVR itself and, in some cases, pay the DVR's monthly service fees. But this solution has lots of perks (like the ability to record live TV, which, of course, is kind of the whole point of OTA DVRs). And, once its set up, it's very simple and streamlined compared to having a house full of antennas. Sometimes minimalism isn't cheap. 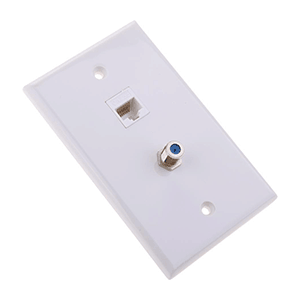 If you have broadband internet using the cable, how do you go about installing an antenna on either the roof or in the attic and hooking it up to a TV? I have Verizon Fios coming from the outside box into the basement, where it is split going to multiple rooms. I would really like to install an antenna, but haven’t figured out how to do it or been able to find someone to do it. Have the cable company providing your internet just use one of the cables going into your house, or figure out which one they’re using. THEN split off the others for your antenna. In a town home I have, I ran my own cable from the outside cable box to the room where I wanted the modem, then told the cable company for the internet that I wanted to use that connection for the modem when the installer showed up. I had already used the box for my antenna — they “unhooked” the antenna during their installation, but I just split it back off when they were done. So I now have antenna TV in all my rooms and my modem (my router) running off a separate line. Question: I have cable. Is there a way to get rid of it with the use of my internet?